What to do, where to go and what to see Dubai in three days! Enjoy a beach and city break to the most exciting destination in the world with this insider's guide to Dubai. Make your sunny Dubai holidays go with a bang and enjoy all the glitz and glamour with this must-visit list. On your first day in Dubai, you might want to take it easy and shake off the long haul flight. So take the time to settle into your luxury Dubai hotel, before heading out to explore the area - for more information. To help you get your bearings, it’s worth heading down to the riverside and using one of the local abras to cross Dubai Creek, located in the heart of the city. It’s on the Bur Dubai side of the river that you’ll find Dubai’s lovingly restored old town. The 19th century Bastakia Quarter has shaded streets lined with Arabic stone houses and traditional wind towers. Stop by the Arabian Tea House café for a refreshing mint and lime drink before carrying on with your explorations. Take a look at the top 15 things to do in Dubai for a little help planning the perfect city break. Head over to the Deira side of the river and you can shop to your heart’s content! The Gold Souk is one of the largest bazaars in the world and is a winner with window-shoppers, but if you’re actually in the market for some well-priced gold then this gleaming arcade is the best place to pick up some quality jewellery. Alternatively, you could peruse the popular Spice Souk, where you’ll find sacks of colourful aromatic spices, including saffron. Pick up a pot for a fraction of the price you’d pay back home, or take in more heady aromas at the Perfume Souk! Keep your eyes peeled as you stroll around authentic Dubai Creek and you’ll find glimmers of the small fishing village Dubai once was. After dark, you can ramp up the swish factor in the more modern waterside setting of Dubai Creek marina. The Boardwalk at Dubai Creek Golf and Yacht Club serves up fresh seafood with spectacular views, or for a more casual dining option, try QD’s for BBQ food and pizzas on the terrace. Dubai is renowned for its out-of-this-world landmarks, so you’ll need a day to tick them off of your must-see list and snap the photos to prove it! 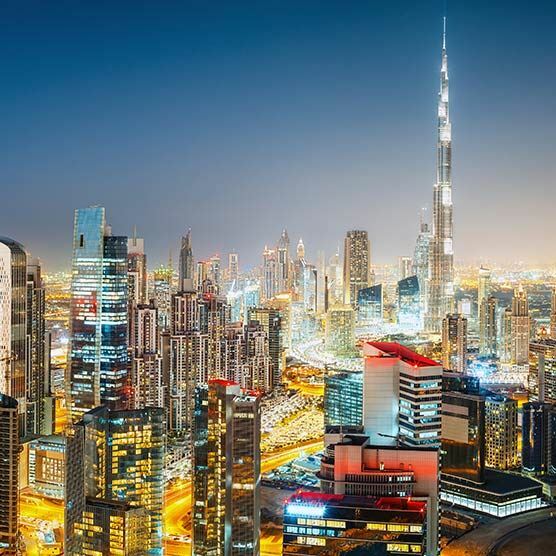 Head over to the jaw-dropping Burj Khalifa (the tallest building in the world) and shoot up the high-speed elevator to the observation deck found on its 124th level, for panoramic views of the city. Or stop for a drink in the stylish SKY lounge spread over the 125th and 148th floors. It’s recommended that you book tickets in advance, so you can save some pennies for other exciting activities! Next, it’s time to hit the beach. Take a walk along the soft golden sands of Jumeirah Beach and admire views of the Burj Al Arab gleaming in the distance. This self-proclaimed 7* hotel is a phenomenal sight that’s recognised worldwide – and while you won’t be able to wander around its corridors without an eye-wateringly expensive reservation, you could opt to book a table in its underwater-themed restaurant, Al Mahara instead. It’s a great way to catch a glimpse inside this uber-luxurious hotel, but maybe just avoid the seafood dishes this time! If you don’t fancy stopping for dinner, you could enjoy elegant afternoon tea in the hotel’s Skyview Bar instead, located on the top floor. Not only will you be greeted by unrivalled views of the Palm Jumeirah and The World manmade islands, but by a plate of delicious cakes and pastries to sink your teeth into – not forgetting a cup of tea to wash it all down with. Other landmarks worthy of a mention include the Dubai Fountain, which starts its awe-inspiring synchronised act every evening at 6pm and claims to rival the Bellagio Fountains in Vegas (unsurprisingly, as they were designed by the same person). The iconic Deira clocktower and the Jumeirah Mosque (just opposite Jumeirah Beach and Dubai Mall) are also popular tourist spots you must make time for, before heading into the Burj Khalifa for astounding city views! It’s safe to say that we’ve saved the best until last, as day three is all about experiencing some of the thrills this city is famous for. If you’re feeling adventurous, Ski Dubai is where you can take to the snowy slopes and soar over tube slides and jumps. Alternatively, Wild Wadi is one of the best waterparks in the Middle East and is traditionally themed around the Arabic folklore character, Juha. With 30 rides and attractions for all ages to enjoy, it’ll certainly keep you busy for the day! Marvel at the fantastic marine life in the Dubai Aquarium and Underwater Zoo, where you don’t just get to watch the fishes, but swim with them too! This popular attraction offers both scuba diving in the shark tank (if you’re brave enough!) or cage diving, if you want to feel a little safer! Once you’ve made a splash, combine your underwater adventures with a spot of shopping in this impressive mall. Want to find out more about this desirable destination? Uncover 13 things you didn't know about Dubai and make the most of this Middle Eastern gem! If you want to add a touch of luxury to your long haul Dubai holidays, we’ve rounded up five of our favourite hotels located in the heart of this exciting city. Whether you want all-inclusive hotels, 5 star hotels or beautiful bed & breakfast escapes, you're sure to spend your three days in style! Located just around the corner from the Deira clock tower (perfect if your watch has stopped), Avari Dubai offers top notch accommodation for both leisure and business travellers. Rated as a 4* hotel, you'll benefit from quality facilities, and a variety of rooms from ‘world traveller class’ to executive suites are available – simply choose the one that best fits your budget! It's minutes away from the renowned Rigga Road food street and Rigga Metro station (great for getting around the city), meaning entertainment is never too far, or if you want to stay in, its luxury rooftop pool, spa facilities and on-site restaurants and nightclubs are sure to satisfy. As a 4* city hotel, the Metropolitan Deira really knows how to do Dubai stays well. With stylish suites and rooms to suit all budgets, a mixture of restaurants and bars (including the Dublin Arms Irish pub! ), a temperature-controlled rooftop pool and plenty of leisure and fitness facilities if you want to work off some of those indulgent holiday dinners (or you want to be pampered! ), this central hotel has the service, amenities and fantastic location to make your holiday in Dubai dreamy. Not only does this apartment complex have an excellent reputation, but its location is also ultra convenient, within easy reach of the airport, a Metro station, bazaars and attractions. All apartments possess the basic amenities that you need to self-cater in the city, while a great selection of restaurants and nightlife spots are nearby if you don’t fancy cooking for yourself. There’s also a large rooftop pool and a gym complete with a sauna, Jacuzzi and steam room, so that you can kick back and relax after a hard day’s exploring. 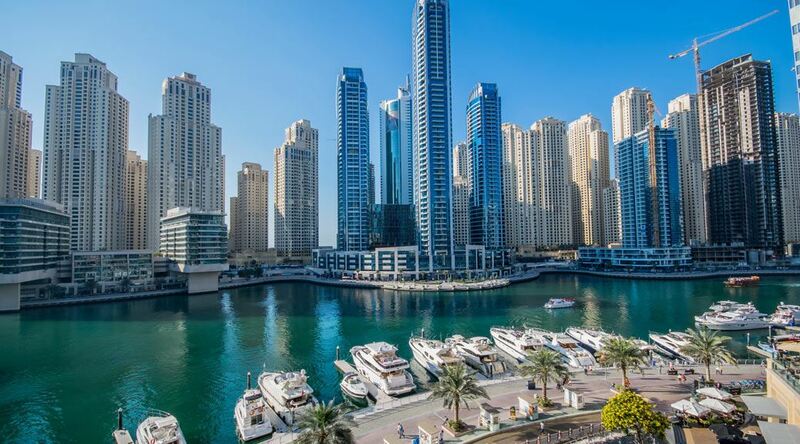 The hotel also offers a free shuttle service that can take you to many of Dubai’s top attractions, including Jumeirah Beach, Burj Khalifa, Dubai Creek and the impressive Dubai Mall. Located in the heart of Bur Dubai, the Savoy Park Hotel Apartments offer holidaymakers an ideal base to return to after a busy day of sightseeing. Air conditioned rooms ensure that you can escape the heat with ease, and the main attractions are within a short cab ride or pleasant stroll. The outdoor pool, Jacuzzi and sauna will help you to relax during what’s sure to be a busy holiday, and there’s a free bus service which can take you to both the nearby Jumeirah Beach and the closest Metro station, which means everywhere in Dubai that you could possibly want to see is easily accessible.